What is SGCC Steels? SGCC steel is a soft forming quality hot dip galvanized steel. SGCC is a material grade and designation defined in JIS G 3302 standard. JIS G 3302 is a Japanese material standard for hot dip galvanized steels. The commercial quality hot dip galvanized steel is a type of steel that can be made after galvanizing a coil of SPCC cold rolled material. The Zinc coating thickness is based on the thickness and width and is governed by JIS G 3302. Dimensional Characteristics of SGCC Steels: The applicable thickness for this SGCC material as defined in the JIS G3302 starts from 1.6 mm to 3.2 mm. However the width of SGCC material ranges to over 1600 mm. Maximum percentage of Manganese (Mn) is 0.80 percent. Maximum percentage of Sulphur (S) is 0.080 percent. Mechanical Properties of SGCC Steels: The tensile strength of the SGCC Steels is expressed in Newton per millimeters and it must be at-least 270 N/mm2 (MPa). The elongation property of SGCC is not defined. The hardness of SGCC material is also not exactly defined in JIS G 3302; however as per understanding it should be less that 65 HRB. The American Standard for Cold Rolled Materials A 653/A 653M-05. 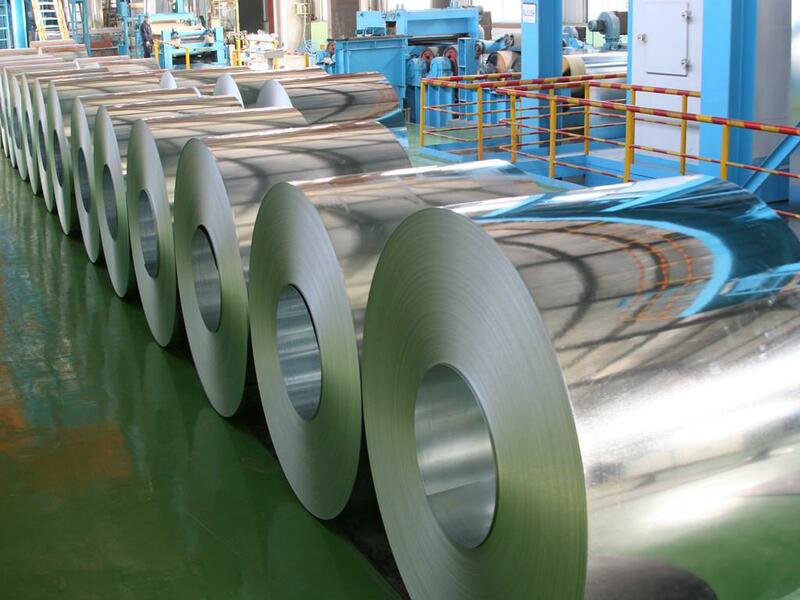 Applications of SGCC & Commercial Hot dip galvanized steels: SGCC Steels are mainly used in making the bodies of many types of equipment. These equipments can be related to any sector. Also SGCC steels are used in construction application for example industrial profile structures are made up of SGCC steels. You can also buy this type of steel online for experimenting whether your specific application is conforming to this material type or not. Sinusoidal profiles of SGCC steels are used for roofing, Shuttering and other covering applications. SGCC steels can also be used in making of ovens, paneling, board making, frames, and other domestic applications. Suzhou Kaiyuan Metal Material Co. Ltd is having contact number 86 – 512 – 68079999 and address is 26F Golden River Building, No.35 shishan road, Suzhou City,China, jiangsu province, China Suzhou Jiangsu 215011 China. Linyi Union Steel Products Ltd is having contact number 86-539-8613831 and address is Zhugao country,nanfang town ,Lanshan district ,Linyi city,shandong province ,China. JNK LOGISTICS is having contact number +92 423 8744659 and address is 73,Jail Rad, Lahore – 54000, Pakistan. MA LABORATORIES INCis having contact number 1-408- 9410808 and address is 2075 N. Capitol Ave, San Jose, California, United States. ALUNORTH METALS SDN BHDis having contact number and address is 59, Jalan Industri Beringin, Taman Industri Beringin, and Malaysia. Learn how SGCC steels are manufactured through various materials in Processes Illustration. Please translate that to proper English. What is the issue? you want to refer?? What is the criteria of G1 corrosion requirements for SGCC? Corrosion resistance (salt spray test) in hours..do you know this by any chance? Mostly used for computer chassis. Hi, anyone know what is SGCC-E and SGCC-M? what is E and M stand for?